Viktor was once again in Monte-Carlo, Monaco to perform at the prestigious Salle Empire Hôtel de Paris. 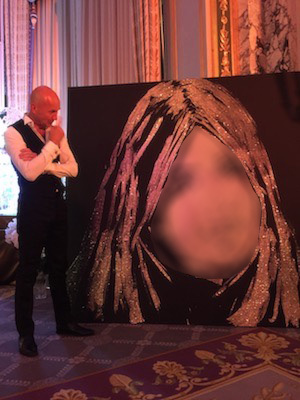 This private event was a huge success and Viktor painted the portrait of one of the clients. Lady Paint just performed in Monte-Carlo during a James Bond Charity event. Trained by the master for glue and glitters painter, Viktor, Anna is now following the path of his master painter. 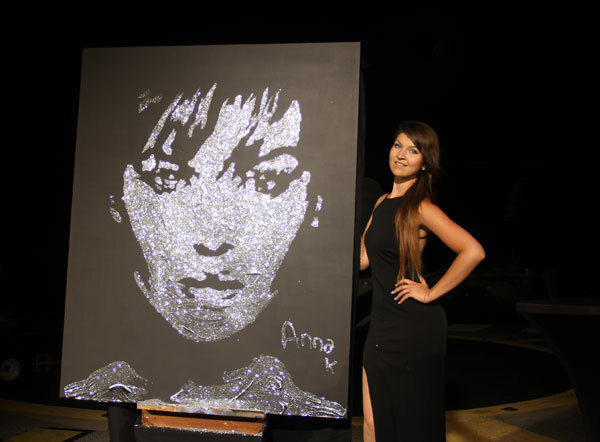 She realized an astonishing painting with silver glitters during this upscale charity event.